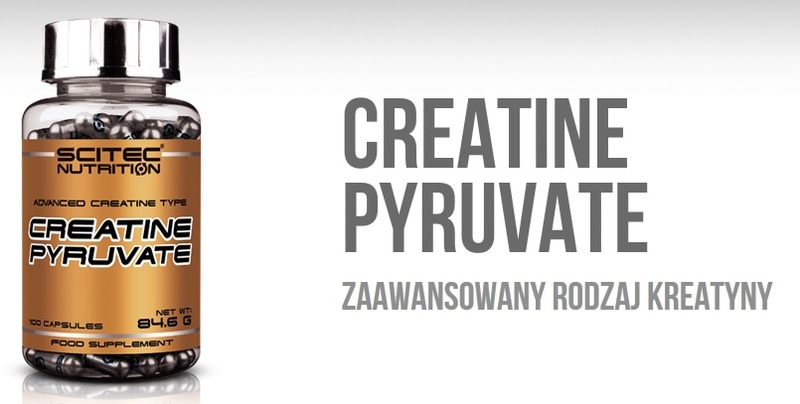 CreatineScitec Creatine Pyruvate - 100 kaps. Scitec Creatine Pyruvate - 100 kaps. Extremely anabolic creatine pyruvate in capsule form! Creatine and pyruvic acid are synthesized naturally in the body and used, in particular, by the meat tissue. 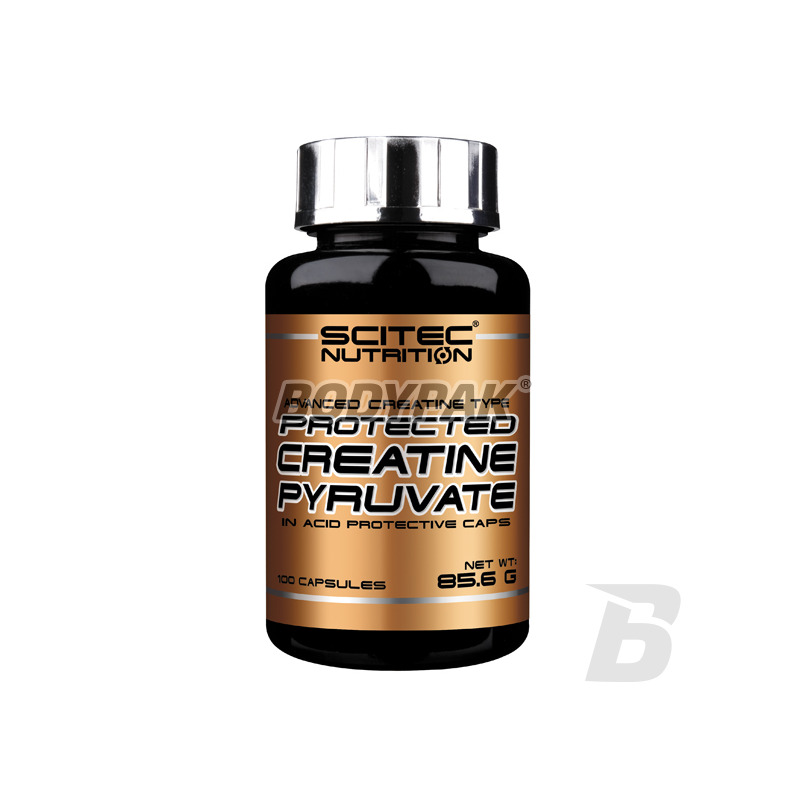 Scitec Creatine Pyruvate is a dietary supplement containing creatine pyruvate. Creatine and pyruvic acid are synthesized naturally in the body and used, in particular, by the meat tissue. By their connection to the compound obtained, which is 5 times more effective than any one of them. The reason for this may be an excellent absorption and bioavailability of creatine pyruvate. About 95% of the creatine in the body are located in the skeletal muscle cells. These cells can store more than the sum of creatine provided creatine daily diet isolated and synthesized by the body. Supplementation of the diet with creatine to increase its resources in the body. The positive effect is noticeable at daily intake min. 3 g of creatine! With dosages in capsule form possible process of "free loading" resource creatine body. A significant increase in the level of creatine in the body is usually within 30 days. Ingestion min. 3 grams of creatine a day increases the efficiency of the body during short, intense training series, ie. Strength training and endurance. * Pyruvate plays an important role in the Krebs cycle - the cycle leading to the release of energy. 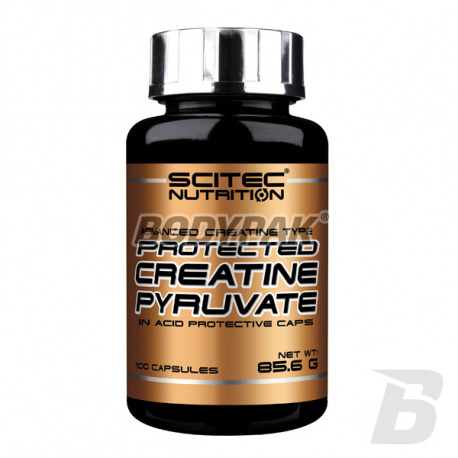 Scitec Creatine Pyruvate provides 700mg of creatine pyruvate in each capsule of which is creatine monohydrate 404mg and 296mg is pyruvic acid. Consume one serving per day (8 capsules), preferably on an empty stomach abundantly sipping. Use in the area of ​​training, preferably in combination with simple carbohydrates.